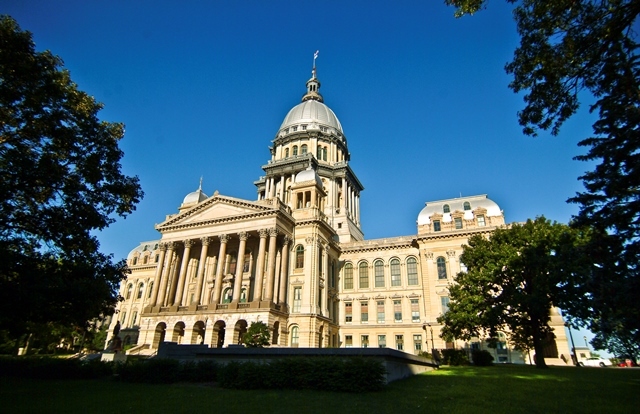 Late last month, the Illinois Legislature passed a stopgap budget fix to plug a $1.6 billion deficit and avoid running out of money before the end of Fiscal Year 2015. With Fiscal Year 2016 starting July 1, the legislature is focused on refining the budget proposed by Gov. Bruce Rauner in February. We discuss where budget negotiations are with a panel of lawmakers. Joining us are state Sen. Kwame Raoul (D-Chicago) and Sen. Sue Rezin (R-Peru). Scroll through the chart below to see how various agencies will be impacted by Rauner’s proposed budget and how those budgets compare to FY15. *Under the proposed budget, the management of the Historic Preservation Agency will be transferred to the Department of Commerce and Economic Opportunity, which will reportedly save $5.7 million from the HPA’s maintenance request. The Abraham Lincoln Presidential Library and Museum will operate as an independent agency.